I wasn’t aware of this. Steve Severin is about to complete his trilogy of soundtracks for silent movies with a contemporary live score for Vampyr, Carl Theodor Dreyer’s 1932 study in parasitic possession! This sounds great – “Severin’s use of brooding synth shards that ooze in and out provides a delicious counterpoint to Dreyer’s consciously over-egged visual signifiers”. 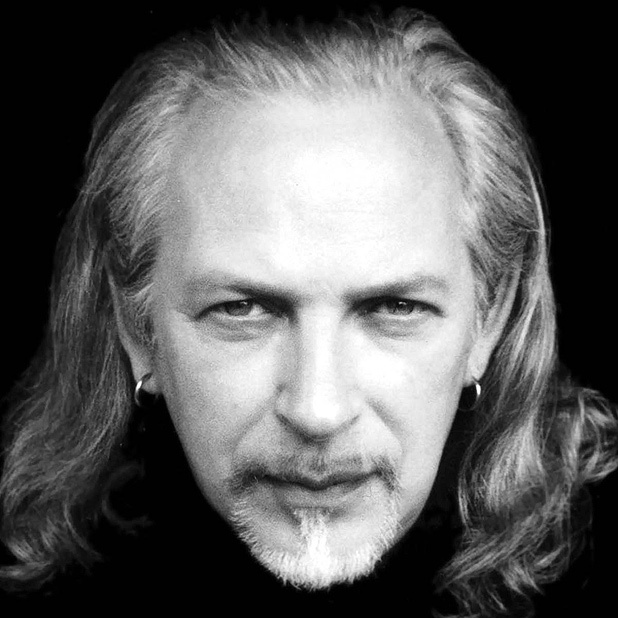 In January 2003, Steven Severin received an email that redefined his post-Siouxsie and the Banshees creative direction, and lead him to pursue a solo career writing film and television soundtracks. For twenty years, from 1976 to 1996, Severin had played bass in the band which he and Sioux co-founded, and for which they co-wrote the songs. In 2002, they reformed for The Seven Year Itch tour which, Severin says, “went terribly wrong” and was “ill fated and turbulent”. In October of 2002, Severin had married Arban Orneleas, a Texan born multimedia artist, and in the aftermath of the tour, with Arban pregnant with their son Cage, the two “took time out” over Christmas, whilst Severin considered what he wanted to do next. The email resolved his deliberations with a request for him to provide the soundtrack to a British, independent, supernatural thriller, London Voodoo. “I did the whole the score,” he says, “and really loved it, and realised that’s what I wanted to do”. via Plectrum – The Cultural Pick » Steven Severin’s Music for Silents. The man with the flowing white hair walks towards a small table and chair to one side of the Cameo’s big screen. Sporting a long black winter coat and carrying a glass of red wine, the man looks as if he’s stepped in from another, altogether darker age of shadows and light. Especially when juxtaposed against the shiny silver Macbook perched on the table which he sits himself down before. Such a clash of time-zones may be accidental, but it’s the perfect introduction to former Siouxsie and the Banshees bass player Steven Severin’s contemporary live score for Vampyr, Carl Theodor Dreyer’s 1932 study in parasitic possession, in which young fogey Allan Grey blank-walks his way into saving the lives of a pair of once-bitten sisters. via Steven Severin: Vampyr – Cameo Cinema, Edinburgh, Thu 12 Jan – The ex-Banshees bassist delivers a brooding live score to the 1930s horror classic | The List. Further to the Blood of a Poet UK tour in the winter of 2010, Steven Severin returns to City Screen, York on 22nd Jan 2012 with his new score for Carl Theodor Dreyer’s VAMPYR (1932), and the third instalment of the on-going film accompaniment series – Music for Silents. The film is a disconcerting tale of fear and obsession being mirrored by Severin’s equally befittingly textured score. The music creates a suitably captivating atmospheric electronic soundscape taking its cue from the enigmatic surrealist imagery on screen. Live, Siouxsie and the Banshees founder Steven Severin presents an absorbing amalgamation of sound and image. via Interview – Steven Severin – Events in York, Visit York, Local News Yorkshire, Things to Do in York – Oneandother.com. SIOUXSIE & The Banshees bassist and co-founder turned film-score composer Steven Severin returns to City Screen, York, on Sunday afternoon to perform his new synthesised soundscape to Carl Theodor Dreyer’s German/French silent movie Vampyr (PG). This is the third instalment of his ongoing film-accompaniment series, Music For Silents, and this time Severin’s blending of sound and image will “heighten appreciation of the surreal and enigmatic nature of Dreyer’s unsettling 1932 tale of fear and obsession”. Vampyr depicts how a young man staying in a remote inn suspects he is surrounded by vampires and dreams of his own death. Charles Hutchinson enters Vampyr’s lair to discover Steven’s world of sound. via Steven Severin performs his new score to Vampyr at City Screen, York, January 22 (From York Press).